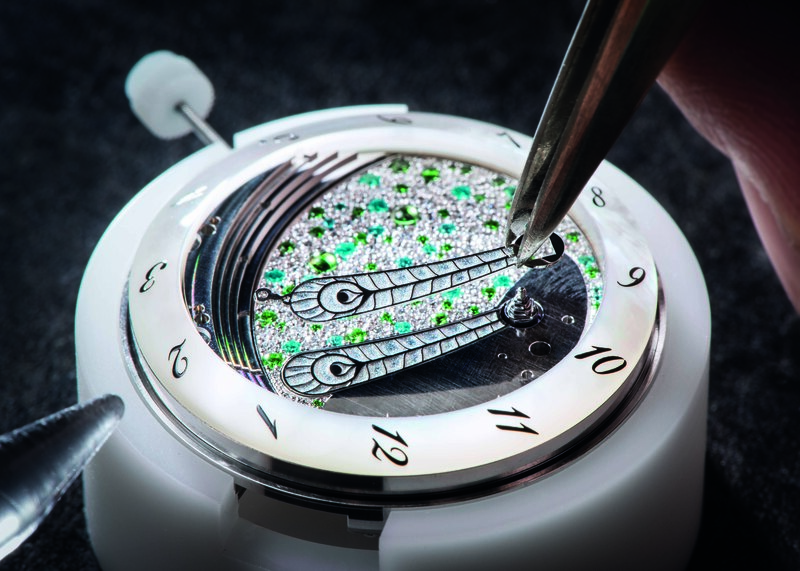 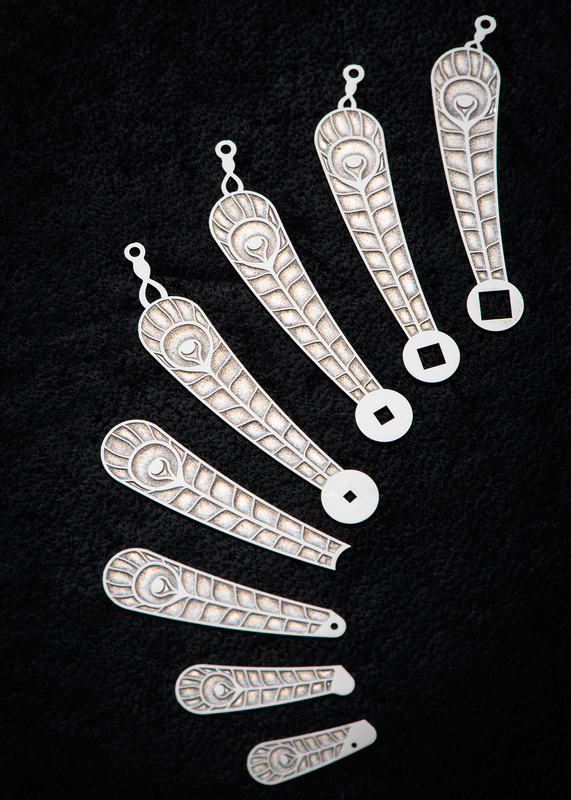 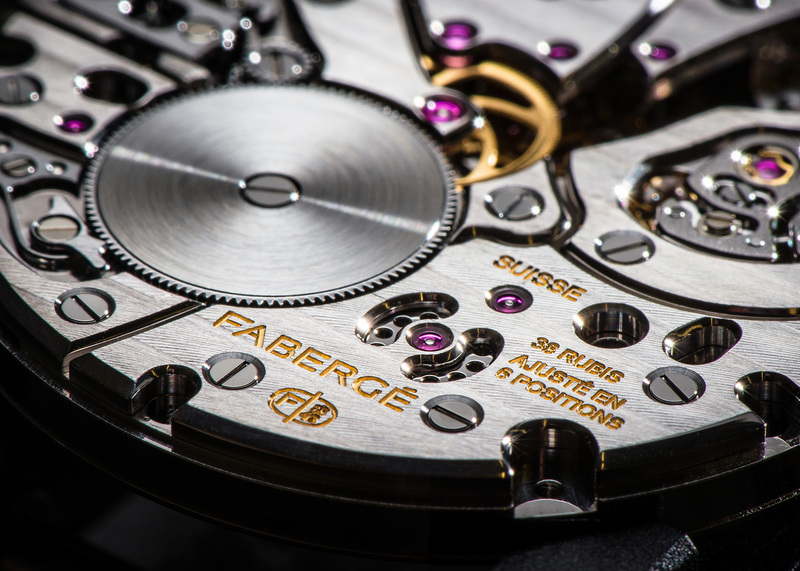 Fabergé Watch Experience: Pick up your own watch at our watch atelier in Switzerland! 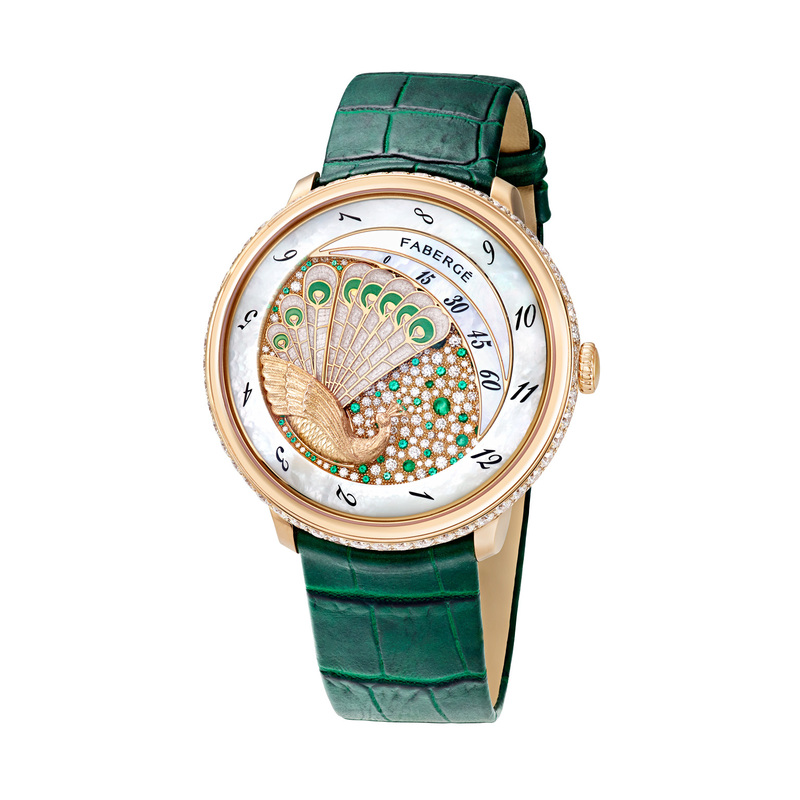 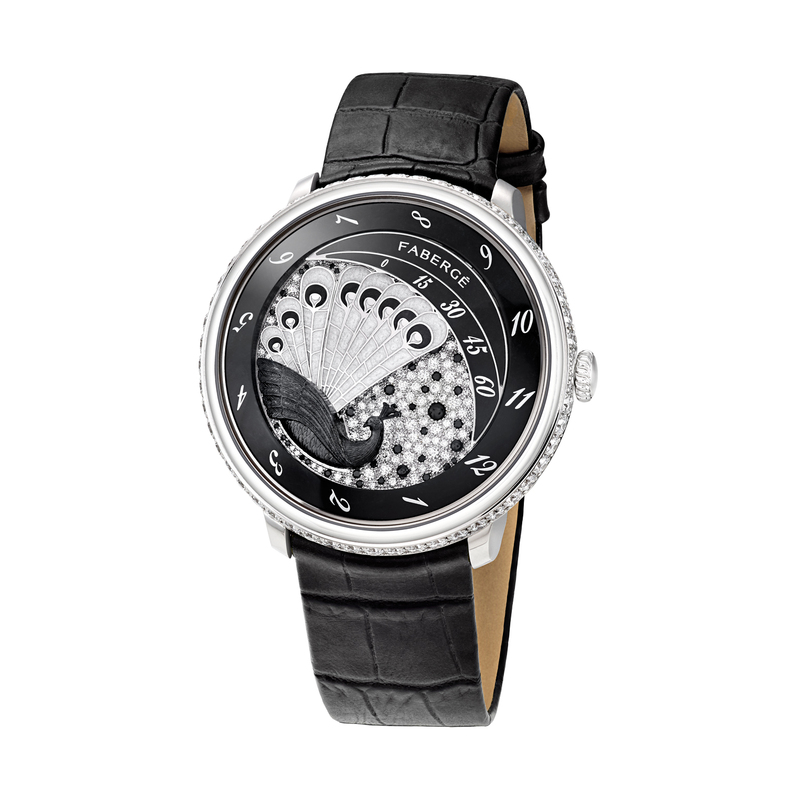 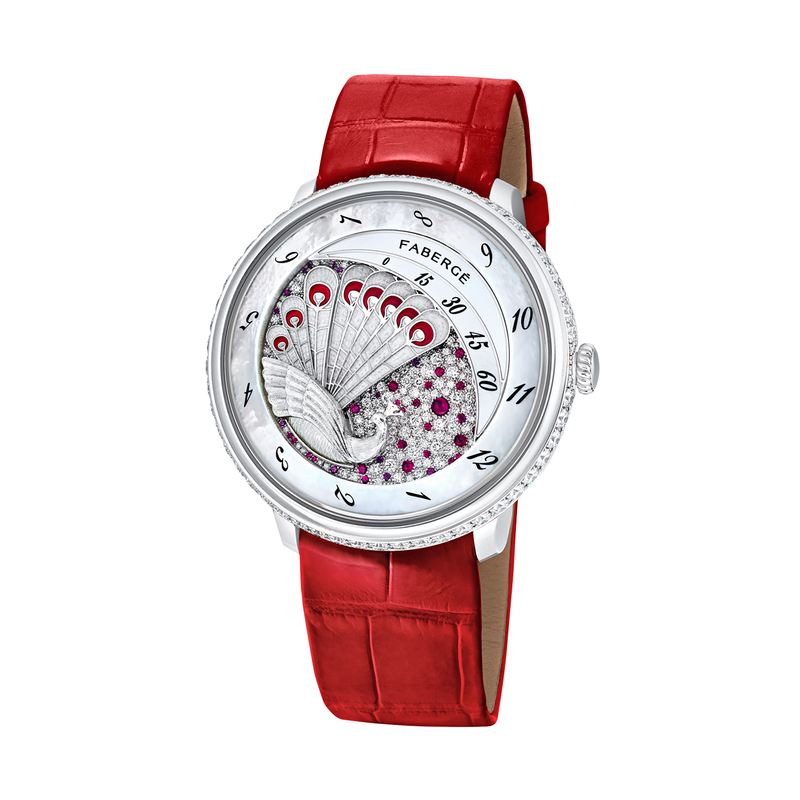 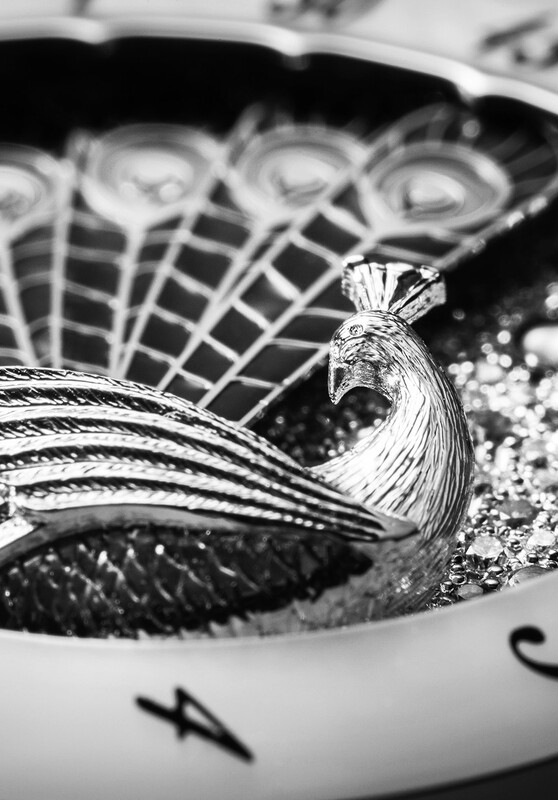 display in the Lady Compliquée Peacock timepiece pays homage to the famous “Peacock Egg” of 1908. 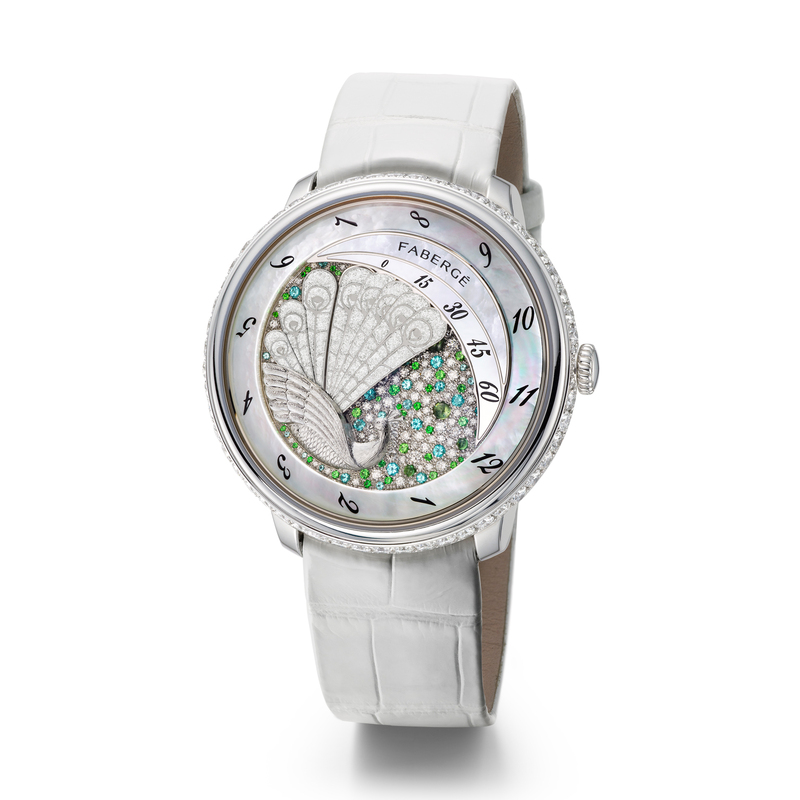 Lady Compliquée Peacock Timepiece features a dial set with diamonds, Paraiba tourmalines and tsavorites, hand engraved peacock in 18 karat white gold, diamond-set bezel, minute and hour indicators in mother of pearl and a retrograde hand-winding movement, encased in a 38mm platinum case, with alligator strap. 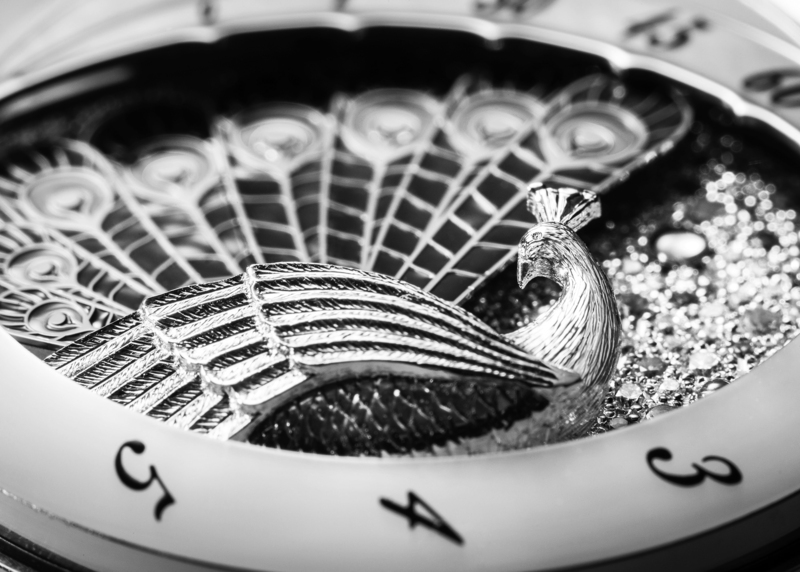 There are only 5 products left!